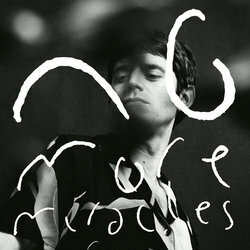 ‘No More Miracles’ was premiered on triple j's Roots N All, and is released alongside the haunting B-Side ‘Those Eyes That Answer (Reprise)’ - a fitting follow-up to his acclaimed debut album released earlier this year. Ryan again proves himself to be an exquisite songwriter. He describes the motive behind the song; “I'm finding the world a confusing and uneasy place right now, I don't think I'm alone in that. This song is about looking for hope in what's immediate and accessible and taking action, instead of waiting for confirmation or permission from some miraculous sign in our life/world." ‘No More Miracles’ is the Melbourne-based indie-crooner‘s most stunning song to date. Ambitious in its scope but simple in its execution, a gritty introduction gives way to a majestic choral interlude. It needs to be heard to be believed.